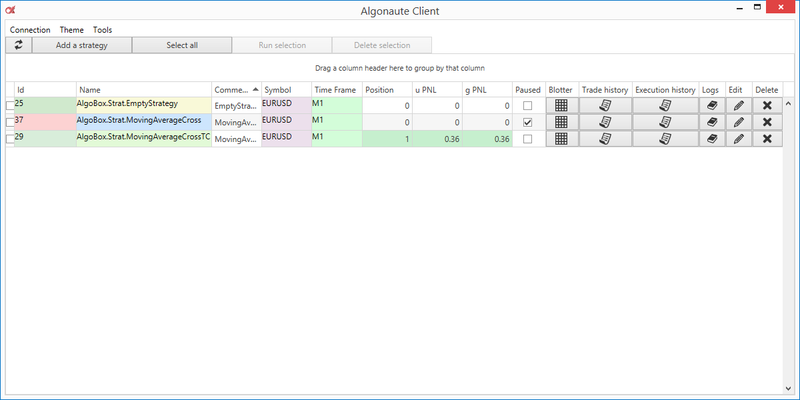 AlphaTrader 2.6 is now available! For this release, the focus was mainly on the development of the first version of AlphaTrader Client which allows multiple clients remote access to AlphaTrader running on its own server. 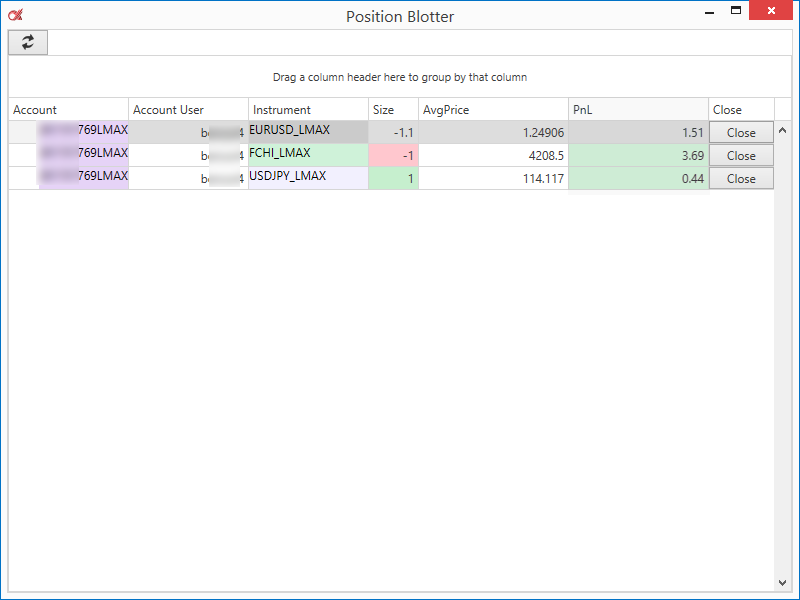 So it is the perfect application to share access to the platform among a team of traders or between traders and support operators or just to avoid having to connect to the server to interact with AlphaTrader. In term of connectivity, we added the ECN FXCM Pro FIX connector for which we got official certified. 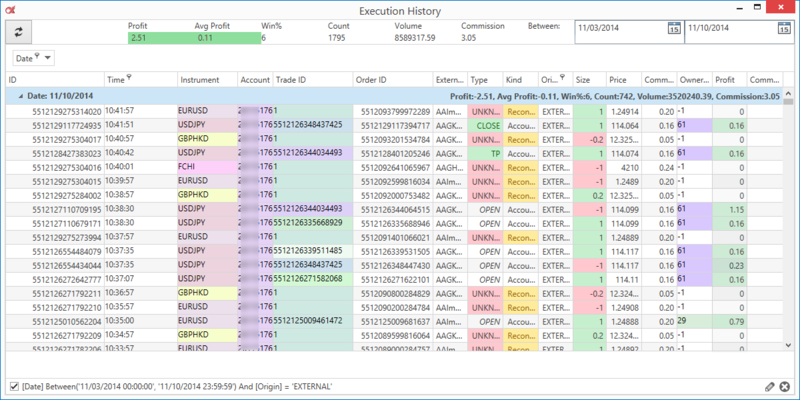 Regarding AlphaTrader, we restored our Time&Sales panel which had temporally disappear after AlphaTrader 2.4 connectivity (multi-broker, multi-account) redesign. 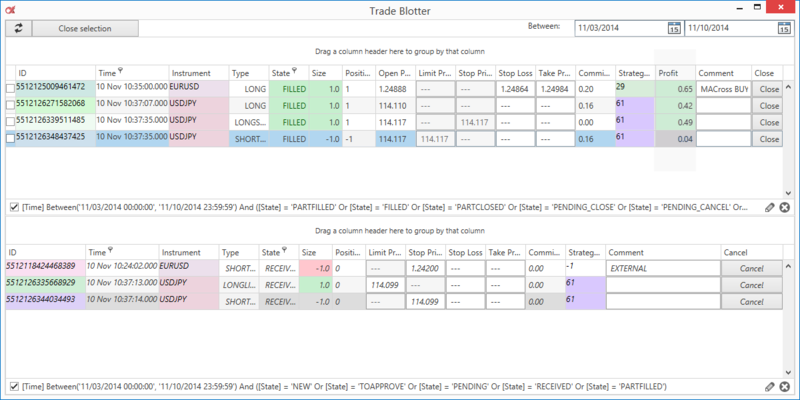 With AlphaTrader 2.6 also comes an enhanced AlphaAPI giving you now the ability to pilot (start, stop or pause) new strategies inside a strategy. Perfect for exemple if you want to set up a master strategy wich will trigger or pause slave strategies depending market state. 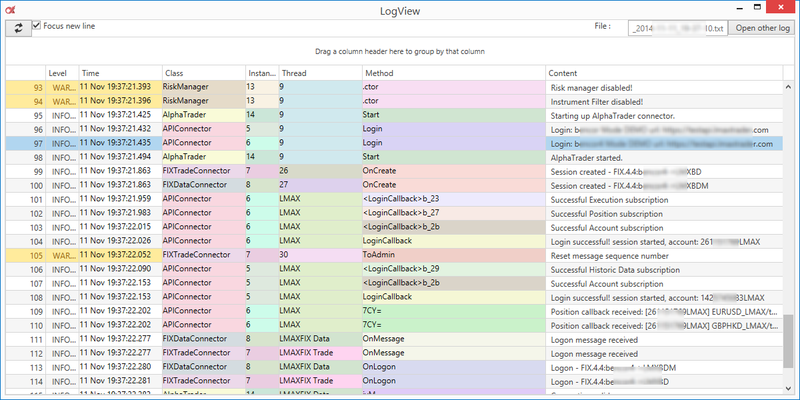 On the API side, we also improved our RTD Excel API. Regarding our trade workflow, we added the possibility of modifying the limit price of a part-filled limit trade, without having to cancel and rebook the trade. And of course, we worked on usual bug fixing and performance or stability improvements. If you have any question, feel free to contact-us. 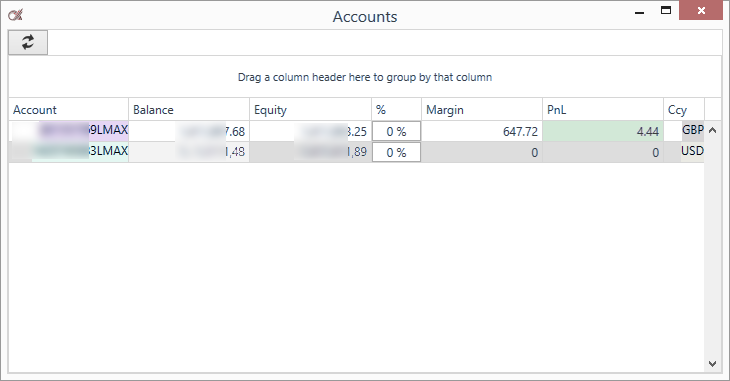 We are now actively working on AlphaTrader 2.7!